I have been using a new natural face cream that is giving me life. Confession -- I would have started using this face cream sooner, but I judged a book by its cover. Admittedly, I 100% judged Ursa Major by the packing and instead picked pricier skincare products with luxe packaging that I was reacting to. I have very sensitive skin and dry skin btw. Once I dug a little deeper, I found out that Ursa is a unisex brand that works hard on making their brand more accessible to everyone. OH MY GOSH, I truly appreciate this especially since so many beauty products are marketed towards women. I am used to purchasing very feminine driven/fancy packaging which doesn't mean the product was right for me. 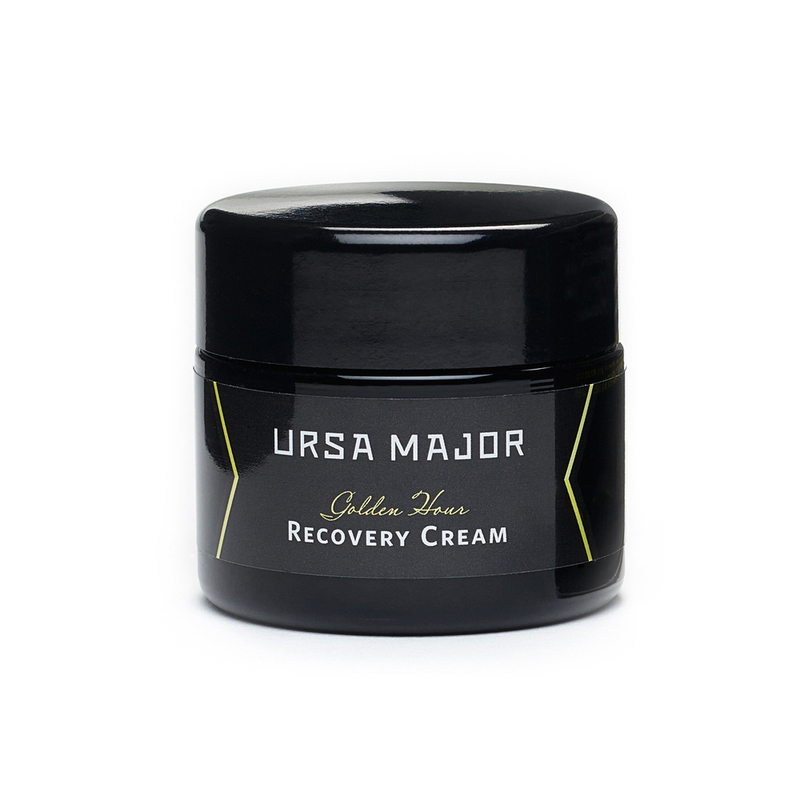 Ursa Major is known for creating natural (plant powered), simple (grab and go) products that they themselves LOVE. Their products are simple and effective and that is so what I need at this phase in my life. And the cream jar is glass for all my plastic free friends! Their Golden Hour Recovery Cream is known as a medicine ‘cabinet hero’. It is rich with a medium bodied natural scent (can’t smell it after you apply it), and is on the thicker side, but still whipped in texture. The cream absorbs very fast in the skin which is a must for most people. I like that it absorbs fast, but doesn’t feel matte after it absorbs — it’s the perfect mix of moisture and matte that you could want (in my opinion.) After you use the Golden Hour Recovery Cream, you get a nice healthy glow! I found that spraying my skin with Josh Rosebrook Hydrating Accelerator works well with Golden Hour. While my face is still damp from the spray, I apply the Golden Hour Recovery Cream all over my face and neck. A little does go a long way so start slow. I am beyond thrilled that I expanded from my luxurious packaging lust and found Golden Hour Recovery Cream. I appreciate it’s simplicity and this cream is for sure a staple in my routine now. I really want you to try it too! Many of you ask me for affordable and effective moisturizers — this cream is absolutely for you. It runs about $48 and lasts for about 2 months in the winter. I will have to update you on how long it lasts me in the spring/summer. Good news for you, I reached out to Ursa and fan girl’ed. They were happy to hear that I was having such a good experience with the product that they gave me a code for YOU to use for 15% off. Below is the Ursa Major Website — it’s a small line so you won’t get overwhelmed on the site. Please, please, please let me know how much you love the Golden Hour Recovery Cream! I have a tested quite a bit of the other Ursa products too so feel free to ask me any questions you have. *This is not an ad. I simply love the product that I am reviewing. The company gave me a discount code to share with you as a thank you to my readers and a extra jar of their Golden Hour Recovery Cream because I was so pleased with the product.